While most people know that stealing is wrong, employees may not fully be aware of what constitutes stealing. These employees may know that removing money from a cash register qualifies as stealing, but what about using their employee discount on friends and family? Do they know that sharing your store’s customer service tricks on their blog might be a violation of intellectual property? In all of these instances, not having a loss prevention policy that clearly states what qualifies as theft leaves the definition open to interpretation by your employees. Retailers who hang security camera signs (with no actual cameras) or install fake cameras, take a gamble and risk experiencing actual theft and loss. Cameras can help prevent both shoplifting and employee theft. While having functioning cameras is important, it is equally critical to place them where they are most effective. The most important spots are checkout, outside dressing rooms, the back room, and entrance/exit to monitor customers and employees. It is most effective when the entire sales floor can be viewed so that anyone monitoring the recordings can see between shelves and behind displays. Ideally, cameras should be placed so they can capture faces and license plates if your business wants to pursue charges against the offender. Many retailers and restaurants know how hard it is to find and keep employees. When you are understaffed and need to cover gaps on a schedule, it can be tempting to hire whichever job applicants come your way. In the craziness of owning or managing a business, it can be easy to forget to follow up with references or to conduct a background check. 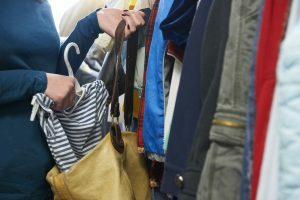 By forgetting to do your due diligence, you may miss that the new applicant was fired from their last job for stealing merchandise from the store. By taking the time to contact references or conduct a background check, you can help avoid the same issues happening to you. Business loss prevention isn’t always about physical products or about profit loss. Taking information, intellectual property, or designs can also count as theft. Having a weak password on work computers or for work systems creates vulnerabilities and allows sensitive information to be seen by prying eyes. All work devices, systems, and softwares should have a secure password. If you don’t keep good records, you may not even realize you’re losing money. Balance your books each day. Take inventory regularly and compare it with sales. Use a Customer Relationship Management system to track client communications. Don’t let poor record keeping hide missing revenue. An important part of your tracking should include counting cash drawers every day to keep full tabs on how much cash is in them at all times. Running these counts will deter skimming and help you catch any mistakes. If your retail business is experiencing theft and is looking to implement solutions, consider bringing in experts in retail loss prevention. At Impact Security Group, we can provide you with solutions to help address loss due to external and internal causes. Contact us today!